We just have a few more Pillow Addicts coming out of the closet before it’s time to close the door. Thank you, Mary Ann, for asking me to be part of your pillow addict series. 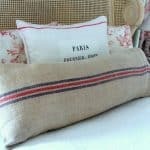 Pillows have long been a part of my life as a decorator, sprucing up my own spaces along the way. 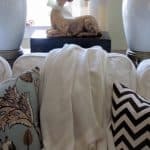 I tend to keep pillows for quite awhile, but switching out pillows to something fresh and new is a great way to update a space without spending a ton of money in the process. That’s always important to me too, keeping things on a budget. 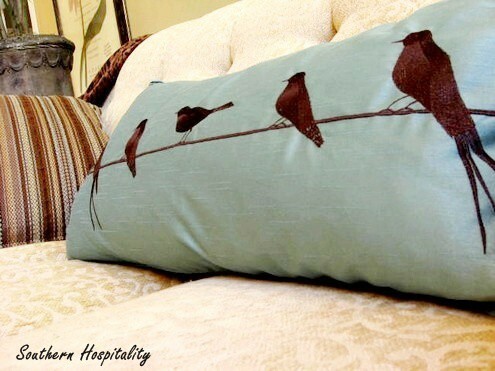 One of my favorite pillows that I found at Homegoods last year is an aqua feather pillow with brown birds on the front (above). 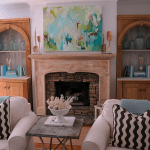 It was a nice addition to my old living room, adding that beautiful aqua shade that I infused in my space to give it some new style. The whole set of pillows that I had on my bed in blue, white and yellow were all fun to put together. My mother made most of these and mixing patterns in fabrics has always been fun for me to play around with. My back porch spruce up that I did last year was also a fun space to add personality and spice. 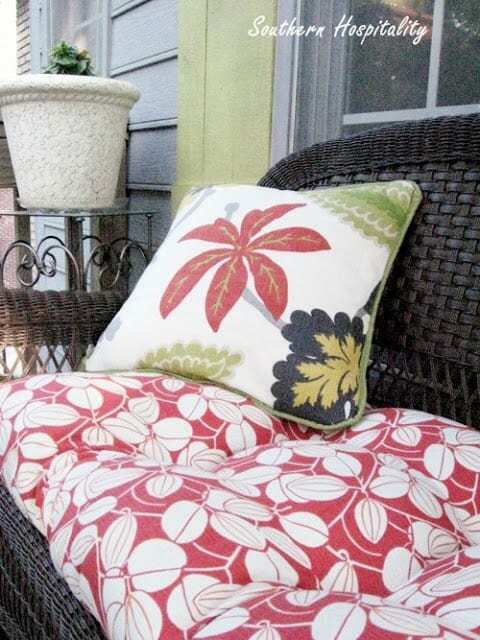 I found this bold floral fabric at Old Time Pottery of all places and made these pillows myself. I fell in love with the colors and knew this fabric would be playful on the porch. Thanks again, Mary Ann! It was a pleasure stopping by with a little pillow talk on your pretty blog. I’d like to relax on Rhoda’s porch and have a cup of coffee with her. 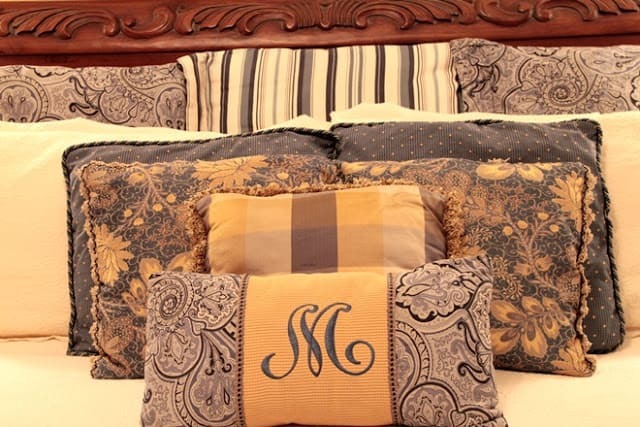 She has beautiful pillows, the monogrammed one is my favorite!…..Great series, thanks for sharing! Beautiful pillows…love the grouping on the bed, blues and yellows are so pretty and soothing. The bird pillow is great, love anything with a bird!! Thanks to both of you! I think it's so sweet that Rhoda's mother made some of her pillows on her bed. Lovely pillows. I like them all! Love how she grouped all the pillows on the bed. Homegoods has some amazing deals! Great choices but the first pillow with the brown birds with the blue background would go perfect in my home. 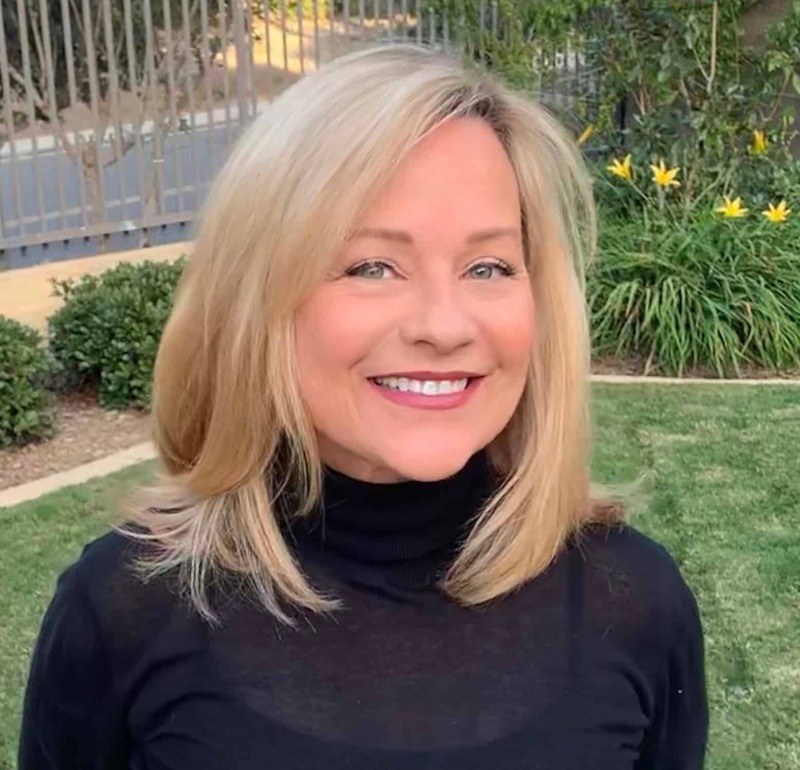 Hi, Mary Ann! So happy that I got to share in your series, thanks for having me. Have a great weekend! 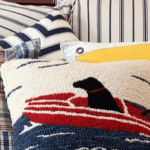 Adorable pillows, love all of them, but the aqua with birds, is my favorite! Julia C.